The Wabash College English Department invites the public to the Will Hays, Jr. 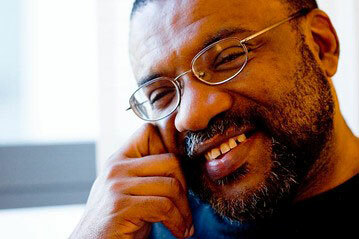 Visiting Writer Series talk by Kwame Dawes at 8 p.m., Thursday, February 16, in Korb Classroom in the Fine Arts Center. Dawes is a poet, fiction and non-fiction writer, playwright, scholar, and musician, and is the winner of the Emmy Award and Pushcart Prize. He was born in Ghana but grew up in Jamaica. He earned his Ph.D. at the University of New Brunswick and is currently a Professor of English at the University of Nebraska-Lincoln. He is the author of 19 books of poetry and numerous other books of fiction and non-fiction, among them the most authoritative study of the lyrics of Bob Marley. His critical essays on Caribbean Literature, African Literature, and issues of race and identity have appeared in numerous journals, including, The London Review of Books, Granta, Essence, and World Literature Today. Dawes is also the editor of three anthologies, Hold Me to an Island: Caribbean Place, Home is Where: An Anthology of African American Poetry from the Carolinas, and Red: Contemporary Black Poetry. He is the programming director of the Calabash International Literary Festival, which takes place every year in Jamaica. He is an actor, playwright, producer, an admired storyteller, and a broadcaster. In 2009, Dawes won an Emmy for LiveHopeLove.com, an interactive site based on Kwame Dawes’s Pulitzer Center project, HOPE: Living and loving with AIDS in Jamaica. The Will Hays, Jr., Visiting Writer Series, through a generous gift from the Hays family, was established in 2002 to celebrate Mr. Hays’ distinguished career as a writer, public servant, and a tireless supporter of secondary and higher education. Currently, every two years, the series, coordinated by the English Department, recognizes a prominent creative writer selected from a broad range of categories to reflect Will Hays’ own varied writing interests.